A little more progress on the bike over the past few weeks. Moved the gauges back to the handlebar clamp and added a bikini fairing to clean up the front end. Also added 15" Progressive shocks to try to alleviate the problem of dragging the exhaust. I ended up having to put the 1" lowering brackets back on due to the axle hitting the exhaust at full extension. I need to figure out a QD luggage rack that will work with the sissybar. I picked up a rack for a bobtail fender and will see what I can fab up with that. 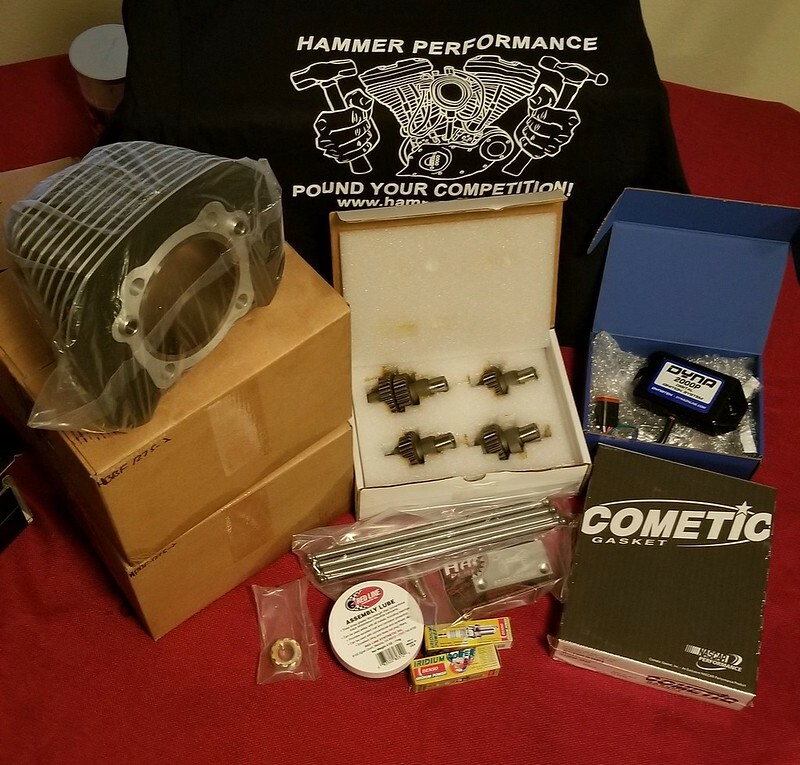 I also got some goodies in from Hammer yesterday. Still waiting on the backordered heads from the MoCo to install. 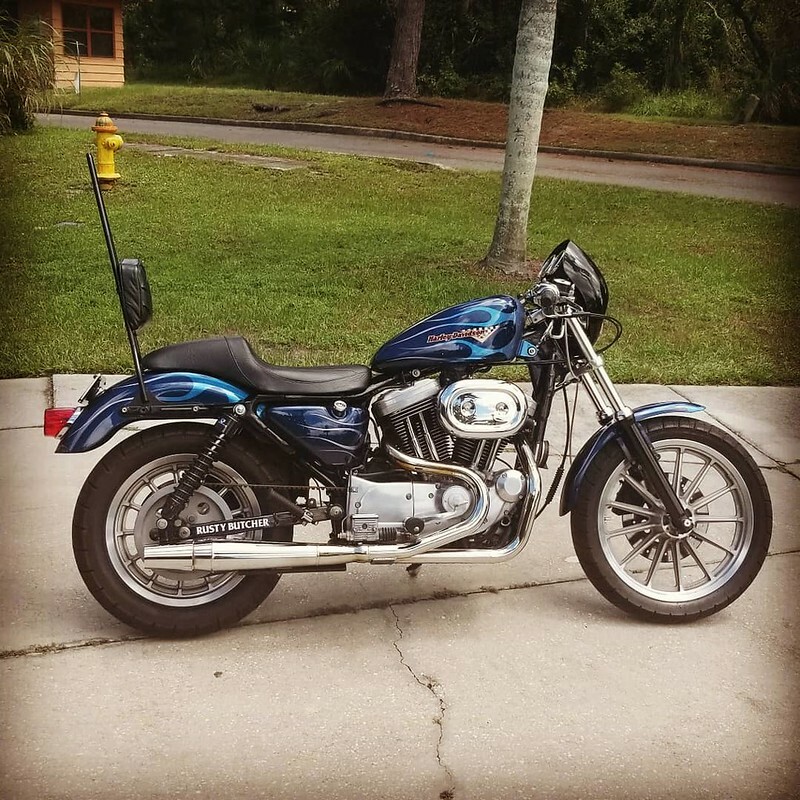 As of right now, I'll probably wait until after Biketoberfest to do the engine work. 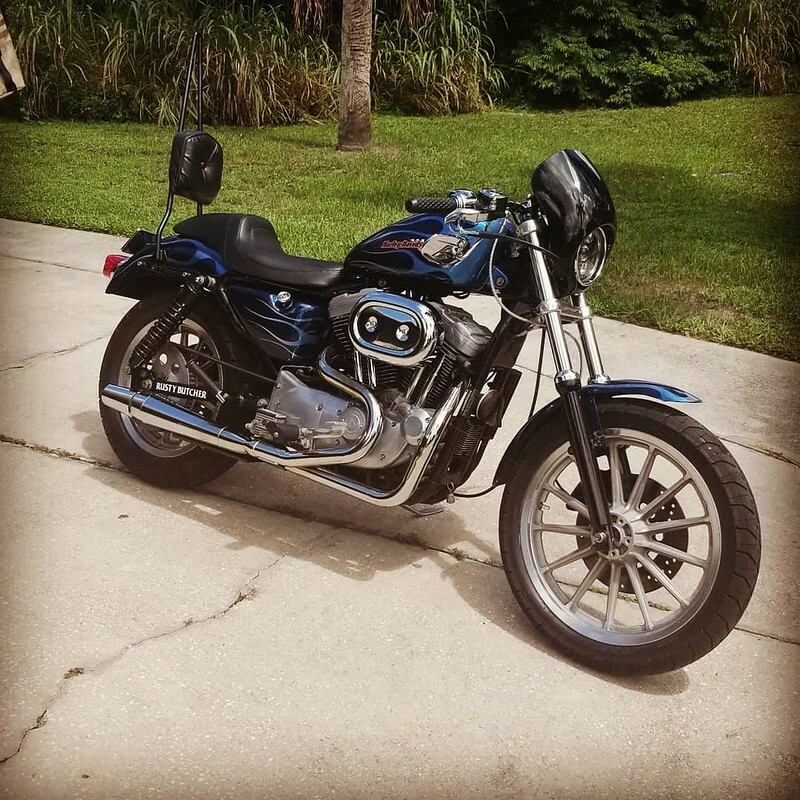 Just saw your thread, you have your bike looking good! was interested to see you added 15" shocks & had the thunderheaders as I'm using Ohlins 15" shocks on mine too, I thought the pipe would hit axle. I'm also using some Hammer parts & cam's. 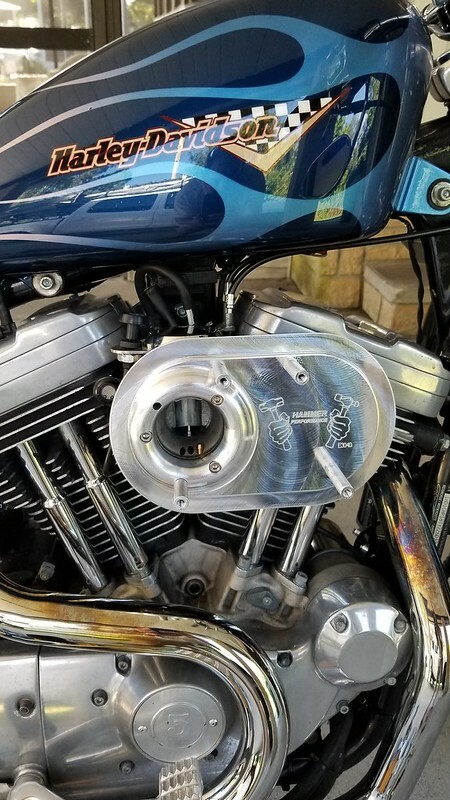 I was lucky to get some late EFI heads that are like new am using Hammer billet intake manifold to suit the carb to late heads. also there is a pipe that you can use with the longer shocks & it performs well too. 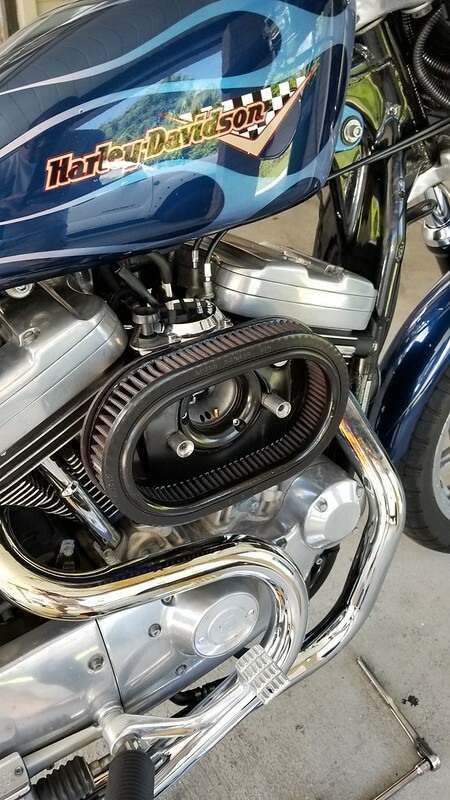 it's 2 into 1 was made for the Roaring sporty, or twin sport racers back in the 1990's, when Harley sponsored that class, they ran 15 1/2" shocks, to speed up steering for road racing. the pipe is called a mega cycle it was made here in Australia you can knee down in corners with that pipe and the long shocks. I'm waiting to hear back if I can get some of those pipes made. I used some back when the race series was on. they make good power too, they have a removable baffle that you can re pack. good luck with your build, hope the new heads arrive soon. So, after the back order on the Screamin' Eagle heads getting pushed for the 5th time, I cancelled the order. I've pulled the trigger on a set of 883 heads from eBay and I'll send them to Hammer for them to work their magic. It's going to cost me double what I had paid for the SE heads, but this way I'll be able to get the BBK installed sometime this decade. 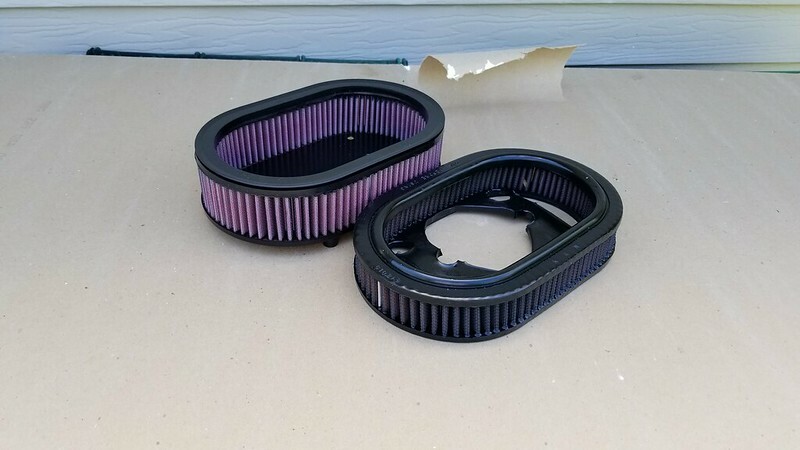 Can you link to the speedo relocation bracket you bought? I've been seeing them on ebay, but I assume many are for the newer gen because they have more "holes" for more lights.